Modo is the next generation of 3D Concept creation! 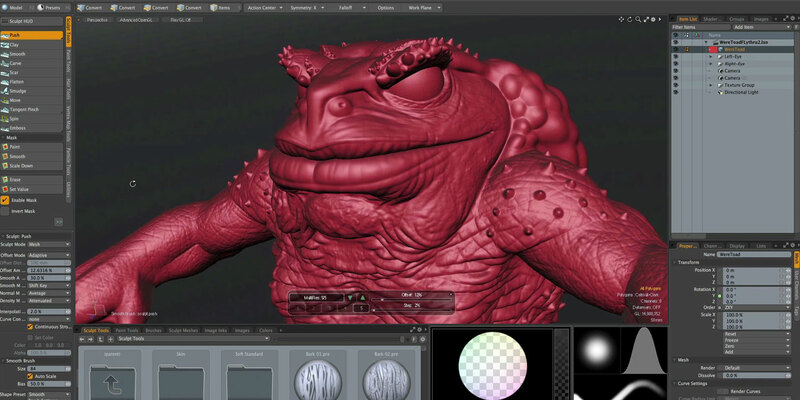 Modo offers powerful, but flexible 3D modeling, render and animation tools in one application. This means that designers don't have to jump through technical hoops to create that unique concept. That's why Modo is the starting point for your creative discovery! Fast direct modeling, flexible procedural modeling, MeshFusion Boolean tools and built-in sculpting tools all working together: Modo's modeling possibilities are fast and unmatched! Free yourself from creative limitations. From roughing out volumes to creating highly detailed forms, Modo lets you focus on creation, not construction. Modo offers you 3D modeling, animation, sculpting, visual effects and rendering in one powerful application. Without having to buy extra modules directly, it offers you a direct out-of-the-box value for your money! Modo is equipped with the following functionalities to offer you complete freedom of form. Modo offers an unique combination of direct modeling tools and a robust, flexible procedural modeling system. Additionally, Modo features the award-winning MeshFusion Boolean tools, integrated sculpting and retopology functionality. 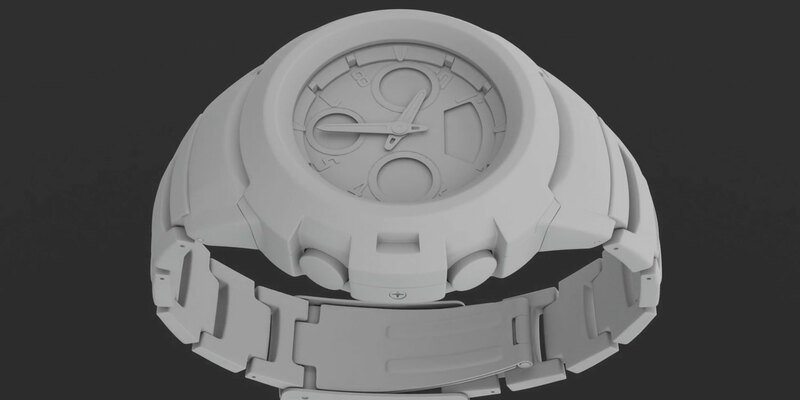 Artistic expression with 3D modeling; with Modo's integrated sculpting tools you can intuitively rough out volumes and add multiple levels of fine detail with speed. Enjoy photorealistic rendering at amazing speeds and limitless resolutions. Modo's production-proven, physically-based renderer offers a rare blend of speed and quality. Incorporating traditional animation techniques applied in innovative ways. 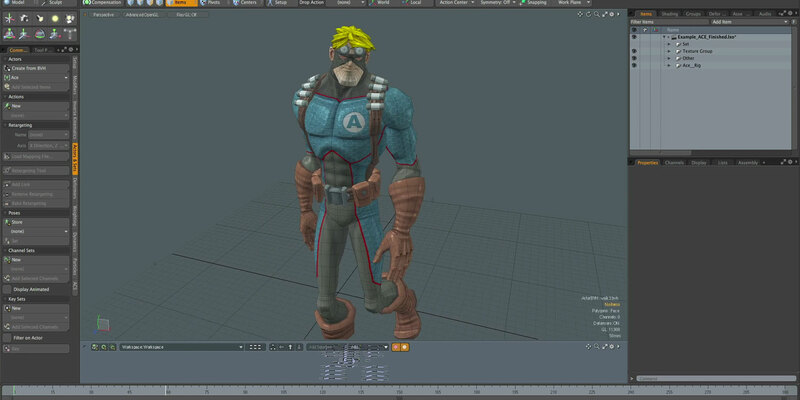 Modo is perfect for several animation tasks; from precise mechanical to fully articulated skinned characters. Modo's rule-based, directable particles work together with the fully-integrated rigid and soft bodies, making it easy to set up particle simulations (like snow, shattering or hurricanes). Faster Rendering - Faster rendering with NVIDIA Optix GPU acceleration. MeshFusion - Optimization for complex edges and corners. Animation and Rigging - Vector and scale envelopes, which can be directly applied to the scene by drap & drop. User Interface - Workbenches where the majority of button controls, item channels, commands and even presets can be added. Procedural Modeling - Improved UV-mapping functions and new stitching tools. Direct Modeling - Better visual experience with modeling in the Advanced Viewport (AVP). Modo Bridge - Up to 400% faster item transfers between Modo 12.2 and Unreal Editor. Integrated VR viewport - Tools focused on scene Layout and design review. Animation - Enhancing the ability to reuse animation data and workflow improvements streamlining the animation experience in Modo. Procedural Modelling - Continuing to expand the capabilities of the procedural toolset to enhance the development of iterative workflows and assembly creation. Direct modelling - Significantly improved Vertex Normal Workflow for real time asset creation. UI Improvements - More discoverable and Single Layout Workflow. 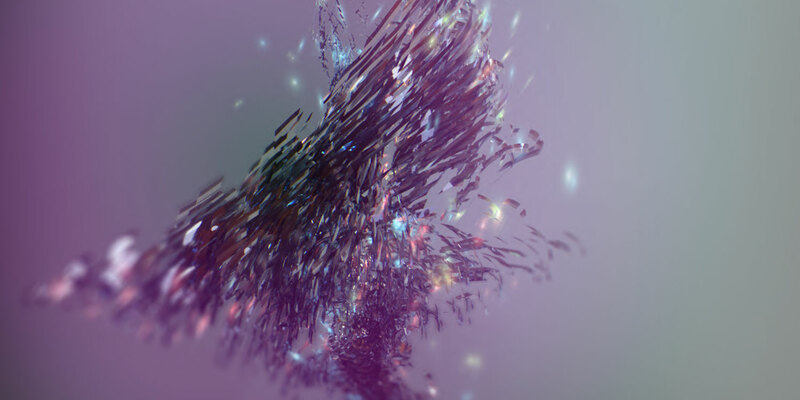 Rendering and Rigging - AVP now handles much more complex material setups and additional enhancements to Curve Particle Generator for stitching workflows. UV tools and MeshFusion - Faster, more accurate, and more controllable Packing. Assembly-based 3D construction with mesh presets that can be seamlessly added to the creative process making ideation incredibly fast and easy. Review content with an embedded VR viewport right within Modo to create a uniquely immersive experience, powerful sense of scale, and interactivity. Create smart assets and infinite design variations with the expanded procedural capabilities. Push, pull or simply move your Modo data to more applications with the innovative client-server bridge to Unreal and now Unity - plus the addition of other new formats like glTF 2.0. Enhanced animation experience including improved workflows to easily retime, repurpose, combine, and adjust animation actions. Direct Modeling – Bevel improvements. UV Tools - Quick Island Align, Island Stacker, Foreground/Background Coverage Indicator, Item Selection in the UV Viewport, Morph in Vertex Normal Tools. Procedural Modeling - Select by Previous Operation, Set Polygon Type, Flip Polygons. Animation performance improvements - weight editing, deformer manipulation. Alembic I/O replicator & particles improvements. MeshFusion - RibTrim and ElboPipe assemblies. Better visual quality and better interactive performance. Geometry can now be transferred using enhanced Alembic streaming, greatly speeding up the rate at which large scenes of animated data transfer to other applications. Enhancement of the direct connection to Unreal Engine 4, allowing entire scenes or selected elements of a scene to be pushed and updated. The connection can be remote, on the same machine or across multiple machines in a network. New selection methods in the Item List. A new customizable Tool HUD for faster access to the tools you use the most. The ability to run Modo in safe mode for debugging purposes. A wide range of selection commands to modify an existing selection. Each successive mesh operation (e.g. Bevel, Extrude, Merge, Reduce and Thicken) is added as a layer to a procedural stack, which you can modify, reorder, disable or delete at any time. Procedurally modeled meshes can be used as inputs to MeshFusion. Selections can be rigged, animated and dynamically updated as the input mesh changes. Easily create an almost infinite number of variations. For example, you could construct a procedural road, and then easily change the number of lights, the width of the road, or even the path that the road follows. The text tool can now directly output Bézier curves that can be used to drive a new Curve Fill operation providing an all-quad mesh. Connect textures to the falloff directly in the schematic or in the mesh operation stack. A new Push Influence deformer pushes geometry along its surface normal. MODO 10 delivers a WYSIWYG (what you see is what you get) look-development experience for game engines like Unreal Engine and Unity, that lets you work in the context of your final delivery platform. Transfer assets between MODO and Unity or Unreal Editor 4 with shading information intact, so you won't need to recreate your shading work in the game engine editor. Exporting to game engines is now a single-step operation with ready-made presets and the ability to create custom presets to target additional engines. On FBX export, MODO meshes are now automatically triangulated, so your object will look the same after export. MODO's baking workflow is now more automated and streamlined, enabling you to reuse bake-related parameters and take settings from a Bake item. A new Bake Wizard streamlines the setup of Bake items and baking, and offers customizable output presets. The Games Tools layout is centered around the everyday tasks of vertex normal editing, texture baking and exporting to game engines, while still providing quick access to modeling tools. You can now also navigate through your MODO scene as a first person. Instances and replicators can now be exported to FBX. Now you can explicitly manipulate vertex normals to control shading smoothness on low-polygon assets, with a series of tools that let you select individual edges to be smoothed or unsmoothed, constructing a vertex normal map on the mesh. The Advanced GL viewport can now display multiple UDIM tiles, further improving parity with MODO’s renderer. Over a 100 small annoying things are fixed, making MODO 10 faster, more stable and offering you a better workflow. Camera Matching: match a camera's position, rotation and focal length to a background image. Projection Texture and Shader: project an image into a given texture channel. Projection Ink: paint projected textures onto UV-mapped geometry. Camera Plane Modifier: create an image-mapped plane from a selected image with a few clicks. EXIF image metadata: apply EXIF lens information, load GPS locations via EXIF and use it to set the location, orientation and time of MODO's internal Physical Sun. Screen Overlay Enhancements: stage and compose your shots with new screen overlay guides. No more complex and frustrating Boolean operations! MeshFusion (selling price: € 309,- excl. VAT) is now included in MODO 901, so you can consistently produce high-quality results when combining objects. 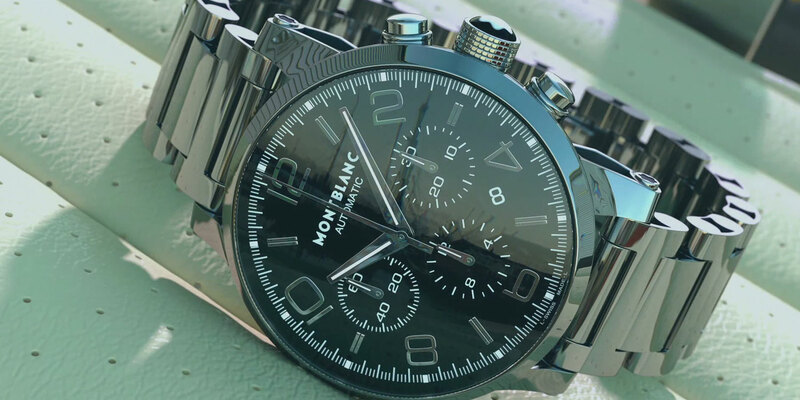 Texture baking goes to the next level, with a new progressive ray tracing technique that lets you preview your textures as you bake. Topological Symmetry, Split and Fill Slice tool option, Quad Fill Pattern mode, Linear and Radial Align, Multi-edge slicing, and more! Enjoy new workflows for both regular and UDIM multi-tiled UVs, including better packing, transfers, straightening and alignment. Now you can work with multiple sculpt layers at each mesh level, and transfer multi-resolution displacement vectors between meshes. User cases, video's, manuals, tutorials and more. Everything you need to get you started with Modo. See below the various applications and examples of Modo in practice. The newest Modo video tutorials to get you started. Would you like more information about Modo?